Brother TN750 Toner Cartridge (compatible.) Approximate yield 8000 pages. Brother DCP-8110DN, DPC-8150DN, DPC-8155DN, HL-5440D, HL-5450DN, HL-5470DW, HL-5470DWT, HL-6180DW, HL-6180DWT, MFC-8510DN, MFC-8710DW, MFC-8810DW, MFC-8910DW, MFC-8950DW, MFC-8950DWT. 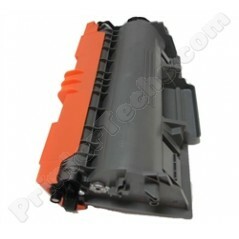 Brother TN750 Toner Cartridge (compatible.) Approximate yield 8000 pages. For use in these models: Brother DCP-8110DN, DPC-8150DN, DPC-8155DN, HL-5440D, HL-5450DN, HL-5470DW, HL-5470DWT, HL-6180DW, HL-6180DWT, MFC-8510DN, MFC-8710DW, MFC-8810DW, MFC-8910DW, MFC-8950DW, MFC-8950DWT.